Princess Elizabeth, who celebrates her 16th birthday today, carried out her first official engagement, when she "reviewed the Grenadier Guards, of which she is colonel in chief." The Princess, heiress presumptive to the British throne, has emerged as a "public figure," and has left her childhood behind. In the "space of those few minutes," as the Princess reviewed the Guards," she, according to the New York Times, "assumed the role of a future ruler of Britain." Britain is now "facing another time of crisis," and has found a "new symbol in the person of the Princess." Her name, Elizabeth, "carries the deepest significance in this historically minded nation." She showed not even the "slightest sign of nervousness," at her debut. She walked around the parade grounds at Windsor, and upon completing the review, took the hand of her younger sister, Princess Margaret Rose, and smiled when the "excited youngster plied her with questions. The King and Queen accompanied their daughters when they "stepped out from the sovereigns' entrance to the Waterloo Chamber at Windsor Castle. 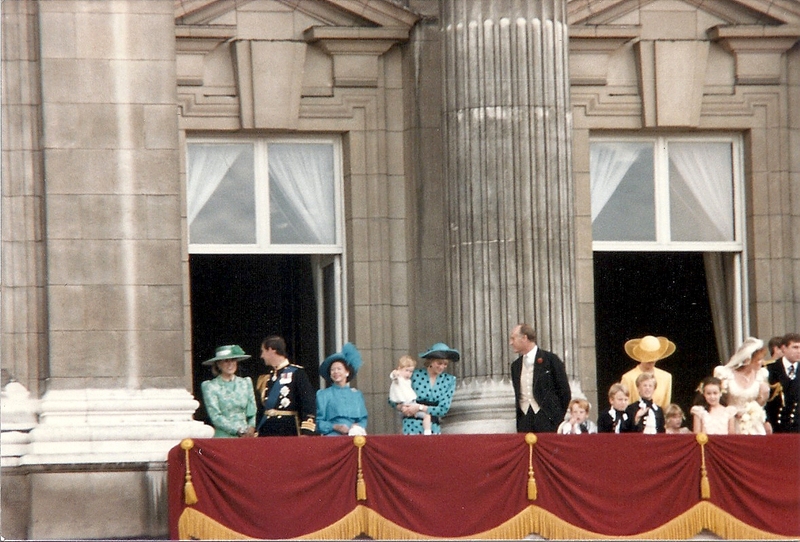 Princess Elizabeth preceded her father, and stood at attention as the National anthem was played. 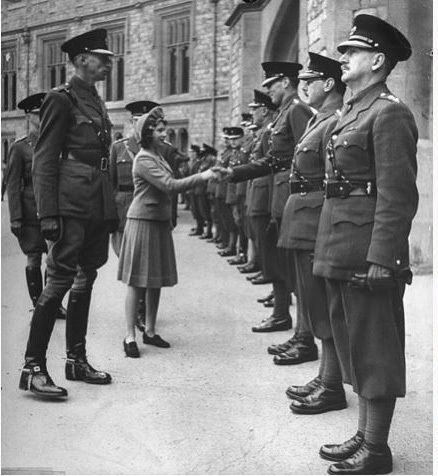 She "moved slowly and with dignity" as she inspected the three lines of her regiment. She also spoke to the men of the Grenadier Guards Comrades Association, all of whom are veterans from earlier wars. The princess also posed for photos with the Guards. Even after the official review was completed, Princess Elizabeth's duties were not over. She gave a party for the men following the parade. The King and Queen and the two princesses later paid a "surprise visit" to the sergeants' mess where a dance was taking place. Rather than spoil the young men's fun, the royal family "joined in the dancing. Princess Elizabeth "received a 'bumper crop of birthday mail" from all parts of the empire. She received numerous presents from member of her family, including her grandmother, Queen Mary. A congratulatory telegram was sent from her uncle, the Duke of Gloucester, who is now on a military tour of the Middle East.